For nearly 140 years, Weakley-Watson Hardware has been a staple in Brownwood, Texas. The outside of J.C. Weakly in 1878. Later it would become Weakley-Watson Hardware. 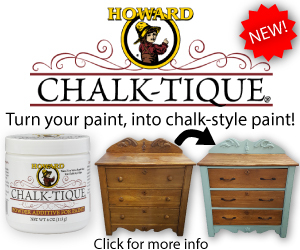 Founded on July 4, 1876, the business is now one of the oldest hardware stores in the state. It has remained a family-owned and -operated business over the years, but great customer service and a conviction to adapt with the times has given Weakley-Watson Hardware extreme longevity. 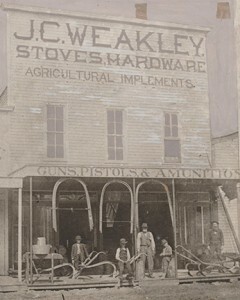 According to Mike Blagg, current owner and fifth generation family member to manage the business, his great-great-grandfather, J.C. Weakley, founded Weakley-Watson Hardware. Weakley grew up in Indianapolis and served in the Union army during the Civil War. After being discharged from the army, Weakley rode a train west to St. Joseph, Missouri, and then took a steamboat down the Mississippi River to New Orleans. He then traveled to Galveston and eventually made his way to Brownwood while working as a tinsmith. He liked Brownwood so much he decided to start a business and live there. 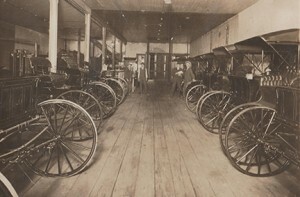 This photo from 1920 shows buggies, which the store sold for a while. 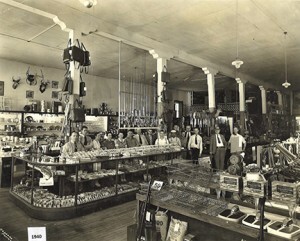 In 1876, he opened a tin shop in Brownwood that quickly became a general hardware store. 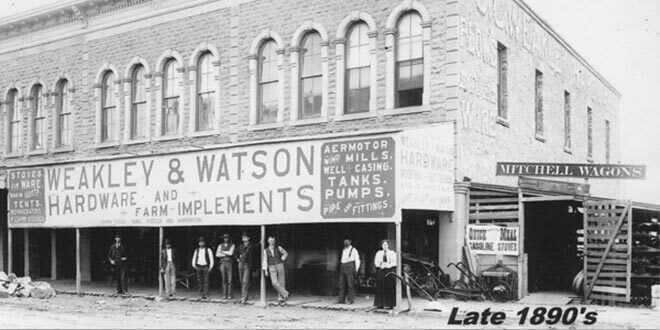 In 1893, he partnered with his son-in-law, Lee Watson, and Weakley-Watson Hardware has been a fixture in the community ever since. While the business has moved around the city since opening its doors, the longtime history is something the family business celebrates. Blagg says they have a separate office building downtown where they have a room full of old photos and artifacts from years past. 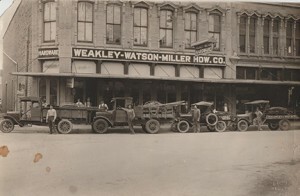 Here is a photo of the store front and the delivery vehicles at Weakley-Watson in 1925. While Blagg says they appreciate their history, to stay relevant, they have always looked for ways to be current in the industry and remain a favorite store among customers. 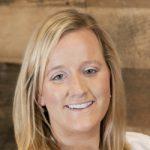 In addition joining a co-op, pushing an e-commerce site and testing out other operational tactics in the past few years, one of the biggest things that has remained a staple in the business is top-notch service and a loyal customer base, Blagg says. Here is a photo of the staff posing at Weakley-Watson in 1940. And while the customers have changed over the years, Blagg says they have many generations of customers who return. 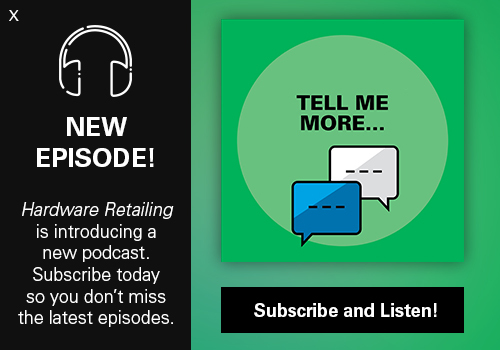 In Blagg’s opinion, the hardware industry has seen many changes over the years, but he sees independent retailers making a comeback of sorts. Next: What Are American Big Boxes and Co-Ops Up to in Canada?